The old saying, “What happens in Vegas, stays in Vegas,” is only true when you don’t get caught. Fame and fortune doesn’t always spare the rich and famous, and Las Vegas is no stranger to celebrities. 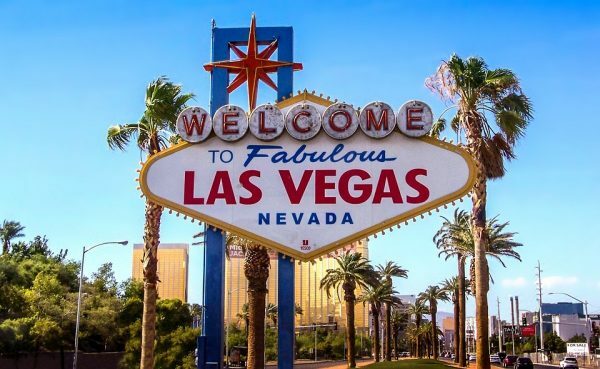 The colorful pasts, presents, and futures of the loads of patrons who roam in and out of the borders of Las Vegas have made Sin City the place to let loose. Here is a short list of a few of your most beloved stars who have had their run in Vegas and found themselves visiting the county jail. Flava Flav visited the Clark County Detention Center in May of 2015 on a misdemeanor DUI charge. He almost never cops this charge for reasons of drinking alcohol. It’s marijuana that Mr. William Drayton, Jr. can’t seem to put down. The famed reality television star and rapper plead guilty to DUI charges in Vegas, which resulted in a fine total of $1,370… a drop in the bucket for a star like Flava Flav. At nearly 60 years old, William shows no signs of falling out of favor with his fans. At the age of 33, Austin Lee Russell of the reality television show “Pawn Stars” was arrested on weapons and drug charges in Las Vegas. Upon serving a warrant in his home, Las Vegas police found methamphetamine, marijuana, and at least one illegitimate weapon. Chumlee’s done it now. Dealing with the Las Vegas justice system is a far cry from being yelled at by the “Old Man” on the show. He’s sure got some explaining to do now! In September of 2010, Peter Hernandez (AKA Bruno Mars) rose to the top of the Billboard Charts with his hit single, “Just The Way You Are.” While the world was celebrating his talent, the Las Vegas Police Department was giving him an orange jumpsuit. Bruno Mars got arrested on drug charges after police caught him in a Hard Rock Hotel restroom with 2.6 grams of cocaine on his person. Mars was ordered by a judge to serve out one year of probation, pay two grand in fines and fees, go through drug counseling, and do 200 hours of community service. Needless to say, Mr. Hernandez didn’t get the “star” treatment.